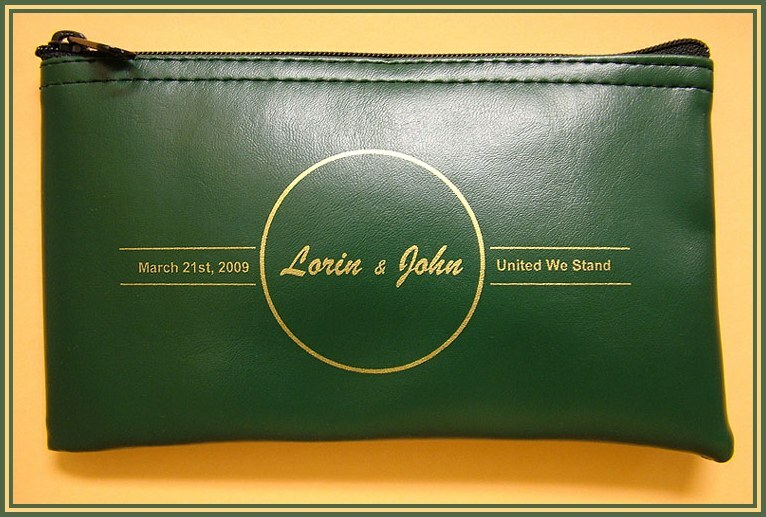 These bags make an incredibly unique and novel wedding gift. 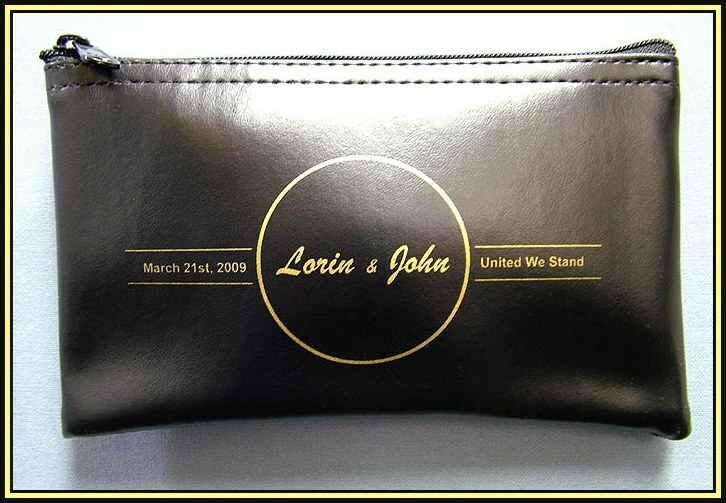 Not only are they useful and practical, but also they serve as a gift that will go on to commemorate that special day or event for years to come. They can be used to memorialize any special day or event from weddings to anniversaries, birthdays to graduations or whatever the occasion. You can also put another gift inside this locking bag or even just stuff it with some money, which is always well received!!! The bag just by itself will make a wonderful gift to let that special person (s) know you went that extra little distance to get them something special and different. The clear vinyl window on bottom center of the bag can be used to insert a wallet size photo. The bag shown here is a TAB/8-PDL-1, which is 12 inches wide by 8 inches high. This bag comes in a wide choice of fabric and trim colors like all my bags and aprons. In addition to my regular colors, these bags come in lighter colored fabric like white and natural plus pastel trim colors.